Learn the rules of scriptwriting, and then how to successfully break them! Unlike other screenwriting books, this unique guide pushes you to challenge yourself and break free of tired, formulaic writing--bending or breaking the rules of storytelling as we know them. Like the best-selling previous editions, seasoned authors Dancyger and Rush explore alternative approaches to the traditional three-act story structure, going beyond teaching you "how to tell a story" by teaching you how to write against conventional formulas to produce original, exciting material. The pages are filled with an international range of contemporary and classic cinema examples to inspire and instruct. 20. The Primacy of Character over Action: The Non-American Screenplay. 31. Personal Screenwriting" Beyond the Edge. Ken Dancyger is a Professor of Film and Television at Tisch School of the Arts at New York University as well as the author of numerous books on screenwriting, editing, and production. Jeff Rush is an Associate professor at Temple University's Department of Film & Media Arts as well as author of numerous articles on screenwriting and narrative theory. "Screenwriting is about making choices. What Dancyger and Rush reveal so effectively in Alternative Screenwriting is just how many options are possible, how the various available choices work and how different decisions will impact screen storytelling. This book substantially broadens every screenwriters' -creative horizons." -David Howard, USC screenwriting professor and author of The Tools of Screenwriting and How to Build a Great Screenplay." 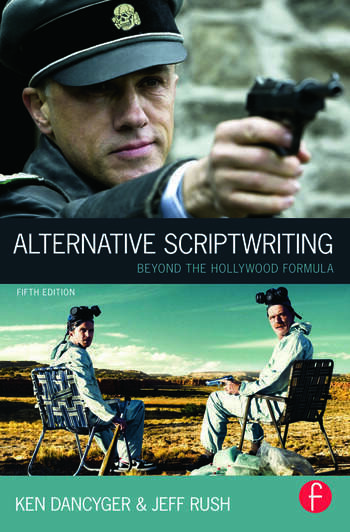 "Alternative Scriptwriting is invaluable to anyone interested in screenwriting or in directing fiction. Using plain language it demystifies storytelling for the screen, and opens up myriad possibilities for using the cinema with invention, freshness, and imagination." - Michael Rabiger, Professor Emeritus, Film/Video Department, Columbia College Chicago. "Alternative Scriptwriting," by Ken Dancyger and Jeff Rush, is one of the few books on the subject that doesn't make you feel stupid while you're reading it. Instead of the usual boring list of "tricks of the trade" that replaces a real table of content in so many "How To Write A Screenplay And Sell It For A Lot Of Money To An Even Bigger Lot Of Talentless Hopeful People" Dancyger & Rush offer real insight for those who take their screenwriting seriously and are not afraid to venture a little bit "beyond the rules". Both as a filmmaker and as a teacher I have found this volume very precious because what the authors do best is mix American craftsmanship with European sensibility. An excellent cocktail, if you ask me. And you did." "An insightful alternative to mainstream narrative and character analysis that presents the reader with a clear dissection of the mainstream before revealing the alternatives." "[Alternative Scriptwriting] aims to challenge its readers to create writing that is exceptional. While no book can possibly replace your own creative vision, as a resource it's thorough and is a good way to help yourself consider alternative ideas."